Combine all the ingredients except for the olive oil in a large slow cooker. Set the cooker to high for 6 hours. Once the beans are tender, taste and adjust seasoning. 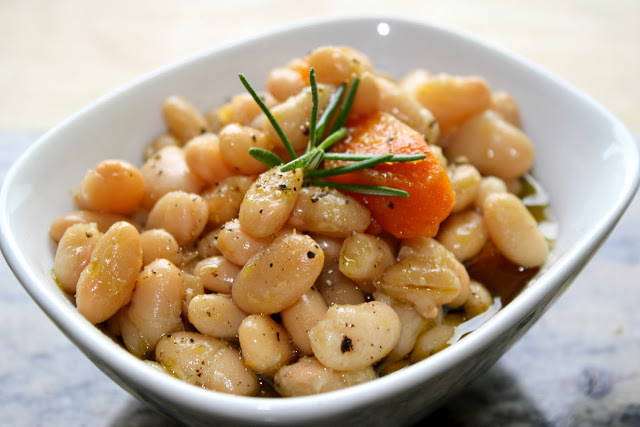 Drain the beans with a slotted spoon and serve slathered in EVOO with crusty bread.